Don’t say we didn’t tell you! Our Pure Elements are now PURE SOLIDS. 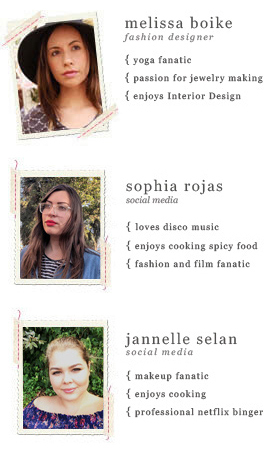 They have new characteristics you’ll love while maintaining the virtues that made them famous. I am here to tell you all about PURE SOLIDS. For those that have been sewing with PURE SOLIDS for some time now, you truly understand and FEEL THE DIFFERENCE already! But for those of you who haven’t had the pleasure, let me breakdown all you need to know about our PURE SOLIDS and what makes them so great! Color is everything, especially when it comes to quilting. We all gravitate to different shades and hues and finding that perfect tone that matches with the fabrics you pull to create your quilt is extremely important. To create that jaw-dropping, mouth-watering quilt most often times it has to do with the proper amount of color and contrast! Making sure you have a variety of different coordinating and contrasting colors is a must. Our selection of PURE SOLIDS is comprised of 79 hues that add that special touch of “Pure Color” to your sewing projects. AND GUESS WHAT! We are launching 20 NEW colors to add to your sewing arsenal! I have had the honor of having a look at all the NEW colors and take it from me it’s so exciting and I can’t wait to get my creative little hands on these new trend-setting shades! OK, let me enlighten you on some more fabric magic! NOT ALL 100% cotton are treated equally! Thread count plays a big role in the outcome of the finished fabric. The higher the thread count, the more luxurious and magnificent the feel and radiance. PURE SOLIDS thread count is 133" x 72", this plays a key factor in creating that perfect “silky” feel which also makes our cotton excellent to use for making garments! Our premium cotton has the softest hand and the lowest shrinkage percentage (1% - 2%). They almost don’t fray, making them ideal for all kind of projects. From what I have learned, thread count isn’t the only important factor when trying to find the best quilting cotton to sew with! The thickness of the threads used are also equally as important. The thinner the thread the more soft drapey feel. Our PURE SOLIDS are super easy to care for as well! Machine wash warm, normal cycle. Use only non-chlorine bleach. Tumble dry medium and use a warm iron. What I LOVE THE MOST is because of our high thread count our fabrics will wrinkle less than other fabrics in the market. Which I don't know about you, but I despise ironing and the shorter time I spend ironing the BETTER! :) Also, by following the fabric care that I mentioned above you do not have to worry about the color fading, the exclusive dip dying process I mentioned earlier keeps your fabrics that same vibrant color even after tons of washes! One thing that is MEGA important to me as a sewist/consumer of goods is understanding the process the products I am buying go through before it gets to my doorstep. Have you watched the Netflix documentary called “STINK” yet? If you haven’t I encourage you to educate yourself because knowledge is POWER! In this documentary, they share with you that a lot of things that we purchase on a daily basis, which we think are safe are not as SAFE as we think they are, and what’s even more disheartening is these products are designed specifically to incorporate these chemicals knowing the consequences they could have on the human body. That’s why it’s SOOOOO important to us as a company that we are confidently offering products that are safe for you and our environment, so you know that the handmade quilts, garments and sewing projects you create for your loved ones are truly made with love. All of the products we offer are internationally OEKO-TEX certified. Head to their site to learn more about this process. We use environmentally safe inks to create our fabrics because we are as much NATURE LOVERS as we are fabric lovers. We believe in delivering quality, PURE COLOR, and fabrics that will last the test of time. To view our full selection of colors click here! I hope for those of you who haven’t given our PURE SOLIDS a try, grab a few colors and let us know what you think! 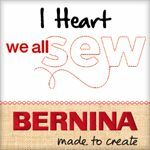 You all mean the world to us and we want you sewing with nothing but the best which we work hard to bring you! Make sure to follow us on our social media in the weeks to come for more colorful inspiration and the release of our NEW COLORS! "When there's not enough time for making, sometimes you just need to get away. Handmade getaways are a rare chance to sew from morning to night, to eat delicious things, and to take care of our friends. There is nothing else quite like it." If you're looking for a new book that's filled with projects and TONS of inspiration, you should definitely check out Handmade Getaway! This book was brought to life by the talented Jacqueline Sava Clarke (who I had the pleasure of meeting at last year's Spring Market in Portland!) and Karyn Valino who have been "getting away" together with their friends, sewing projects, scrumptious food, cute dogs and a camera for over seven years. They decided to put these "getaways" into a book and filled the pages with 14 individual and 7 group projects, planning tools, tips, and of course..a lot of gorgeous imagery for their adventures to inspire you. I think my favorite might be the "Cyanotype Printing" technique and the ideas they show of how to create things with it. I want to make some tea towels for gifts using that technique! 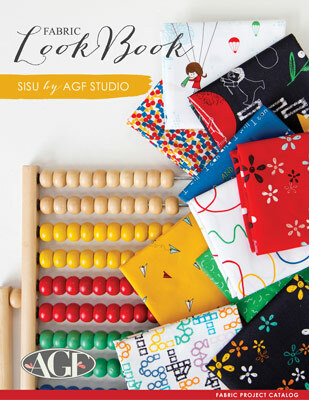 Whether you're a beginner sewist or an advanced maker, and if your preference for a "getaway" is the woods or just your sewing room, there's something for every level and interest in this book that will help you focus on your strength and passion! Congratulations to Melissa Brockway! Please check your email. If you have been following AGF for a while, you would know that we don't often focus on contrasting colors of black, red, and white in our collections. Well, we decided to do things a little different this time and this time, and bring them to center stage in our latest collection! Inspired by what you’d discover while traveling the trading route that connected The East to The West, AGF created its latest collection, “Silkroad Fusion.” This fabric line celebrates the emerging trend of Asian influences in textiles with designs from ancient techniques of brushwork that’s modernized with geometrics and florals, creating a unique, exotic mix for your sewing. We decided to do a new take on color combinations and use full bodied hues of scarlet red and charcoal black mixed with pops of white. 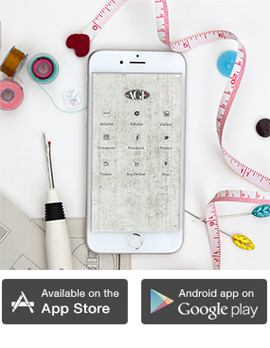 Silkroad Fusion is ideal for creating elegant and impactful sewing projects. Available in cotton with select prints in knits and a rayon, these designs can be used to sew bold quilts, pillows, table runners, wall hangings, Japanese-style garments like kimonos, and statement accessories. For more elegant-inspired projects that include quilt, garment and home decor patterns, head over to our "Silkroad Fusion" lookbook! Congratulations, Nancy Page! You're our WINNER to our giveaway! Please check your email.